As that great punk rocker, Marcel Proust noted, remembrance of things past is not necessarily a remembrance of things as they were. 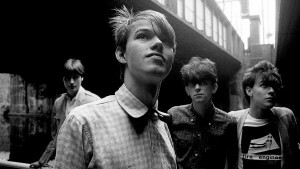 Big Gold Dream, a documentary by Grant McPhee, re-imagines the musical history of the post-punk period as it unfolded in Edinburgh and Glasgow, and makes a persuasive argument that something great was happening in the years which followed The Clash’s appearance at the Edinburgh Playhouse on 7 May, 1977. In the myth, which may be true, that show inspired Orange Juice and Fire Engines, though with typical perversity it was the performance of support act, Subway Sect, which fired their imaginations.